At Integra-Clean & Dry, we offer water damage cleanup and removal. Upon your call we will immediately send out a specialists. Once we arrive we will start the water removal process. We are contractors that use the best equipment to provide you the best water damage restoration service. 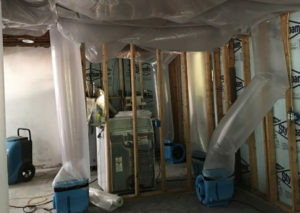 Our basement water cleanup specialist are highly trained in the latest technologies and our equipment is state-of-the-art to provide the best service possible to out customers. Not only that, we have a caring team, from our receptionist to the last person to do a final inspection in your home, we show that we care about the safety of your home, completing the job properly and providing you with the best attention you can get. Serving the entire Scranton area, we can get your basement water damage done quickly and professionally. 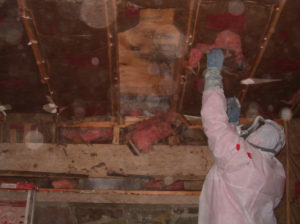 We're happy to share our experience and answer your restoration questions. 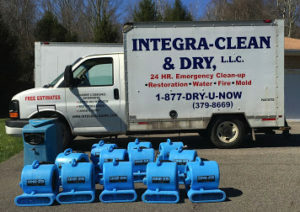 Integra Clean is available when you need help for Scranton sewage cleanup. A problem with your sewer system can cause significant problems. In addition to the foul stench, an array of other problems such as fungi, viruses and other pathogens can create serious health hazards. If sewage problems remain untreated, they can cause major structural damage which can be highly expensive to repair. Our team of professionally certified experts at Integra Clean & Dryhave years of experience resolving various sewage cleanup and repair problems. We provide the best sewage cleanup and repair services in Scranton for both commercial and residential customers. No job is too dirty or too big for out professionally trained and certified experts. When your home is being threatened by flood damage from flooding or leaks, Integra Clean has the expertise to prevent or repair the devastating effects water damage can have in order to help preserve and restore your property. When you have an emergency water damage crisis on hand, call Integra Clean to handle all your repairs. We provide services to all residential and commercial water damage victims in Scranton and it’s surrounding areas. We provide water cleanup services throughout Scranton PA, including 18503, 18504. Some of the nearby locations we service near include the Steamtown National Historic Site, Everhart Museum, and The University of Scranton.